Last weekend we donated a gift voucher for $250 to the silent auction at the Annual Ukranian Fall Feast. 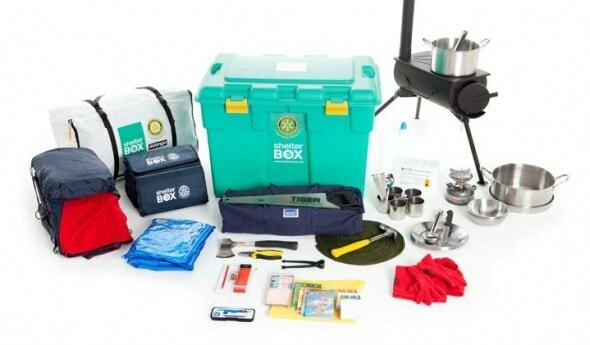 The silent auction and donations raised enough funds to purchase a tent, via Shelterbox International, for a family struck by a natural disaster. Participants at the fundraiser signed a banner that will be going directly to the family that needs this tent. The tent that we purchased has a tracking number so we’ll be able to see where in the world this tent ends up! Follow this discussion or check back to find out where it went. Use the comments box to guess which country the tent went to.